It was a crazy day with weather (cloudy, then a bit of sun, and cloudy again; rough water; very calm water; windy and cooler in the afternoon.) But then again, I am not on the beach to get a tan! I just want to build, and today’s castle satisfied that want! 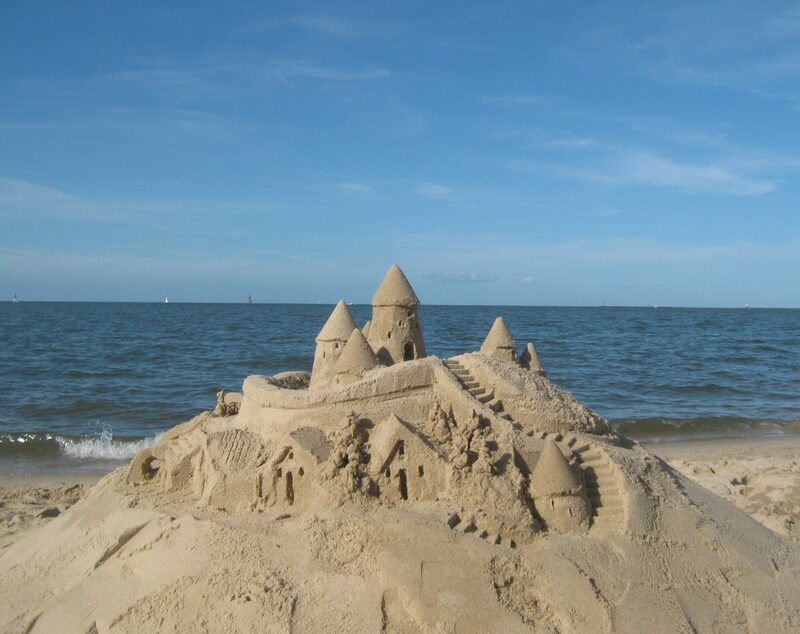 I hope to get to the beach on Monday, September 18, and build, if the weather cooperates. We will be leaving Lewes on Wednesday morning, to go home to SouthEast Pennsylvania, and will be packing and cleaning Tuesday. We don’t expect to be back to Lewes until next May. 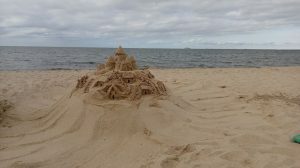 I will certainly miss the water, beach, and especially building castles.